It may sound mind-boggling but it’s a true story. An article was published in China, claiming that fake rice is being made using plastic. Unfortunately, it has not created any apparent alarm and no one is doing anything about it. This is despite the fact that even a trace of plastic in our system could have serious effects on our digestive system and hormones. You cannot afford to imagine the effects if large amount of plastic enters our system. Then China has a problem with air pollution. The air there could cause damage equivalent to smoking through 40 cigs a day. Their rivers are also loaded with chemicals and toxins. 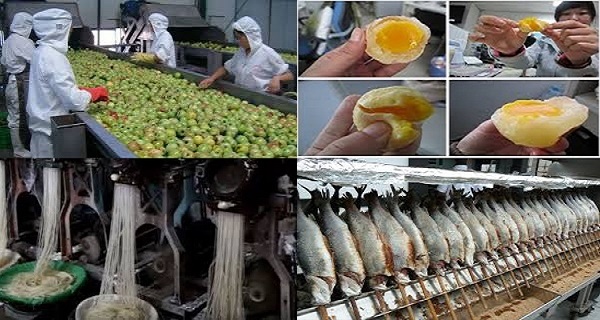 Here are the 10 foods from China which could be harmful. If the rice remains hard even after boiling, you should be wary of it. Plastic rice contains fake synthetic resin and potatoes, it could have cancerous properties. Be careful of processed mushrooms, even those that have been labeled as organic on the package. Manufacturers can print organic just to make more profit. Inspectors have often come across tainted mushrooms. The tilapia fish would eat everything in the small pools they are raised in. The concerning thing is that those pools contain waste water. That’s one of the unhealthiest, most toxic and worst kinds of fish. Unfortunately, 80% of this fish in the U.S. comes from China. The green peas you could be eating may actually be soy beans and snow peas. These fake green peas contain snow peas, soy beans, sodium metabisulfite, and green dye. They were first found in 2005 and increase the chances of cancer and interfere adversely with absorption of calcium. China is known for producing the largest amount of pesticides. Many food experts have shown serious concern about the quality of chicken, but the U.S. approved chicken sale back in 2013. With the Chinese, there’s not much meticulousness about their food. It is not uncommon for them to skip their safety regulations and requirements for food origins. There was this Chinese vendor who was simply collecting mud and selling it as black pepper. He added flour to it and then offered it as white pepper. So make sure that you are getting only organic and local food! This fish is raised in its own waste. This makes it extremely unhealthy. Once you consume this salt you can suffer from various health problems including reproductive issues, and physical and mental disorders. You should entirely avoid Chinese apple juice considering that the country produces and uses the highest amounts of pesticides. Around 31% of Chinese garlic is being sold in America. This garlic has large amounts of chemical connection sprayed over and filled in it. If you want to improve your health and get healthy nutrition, you should consume only organic food which is produced in local farms or you should grow them yourself. Why get all the negative effects and destroy your health?